An ode to the web. An ode to you. Often I hear the question “Why are you doing all the web2.0 stuff?” Over and over again. “Why are you blogging?”, “Why are you using twitter?”, “Why are you on facebook?”… “Why are you presenting yourself to the whole world?”. So, I thought about it. I could say something about the shift of media/communication/our culture. But I am not. Malte, Kai, Steffen, Nils, Ben, Christina, Sebastian, Ralf, Johannes, Alex, Florian, Torsten, Jonas, Youna, Philipp, Paul, the people of Whitetapes, Jeriko, Philipp, Marc, Jan-Marco, Nils, the people of fakeguru, Oliver, Cornelius, Marcel and many more. And what I really like that most of the ideas cross the border to the real world. That’s what I like most about social media / web2.0 / social web, whatever you want to call it. Truely, she vocalises what I think! The picture above is from PMertens and under cc-license. Thanks for the “apple-idea” quote. Pure truth in simple words. Du kommst mir wiedermal zuvor. Ich will mich auch nochmal bei dir bedanken. Ohne Social Media usw. wäre die ganze Blogosphäre viel unpersönlicher und langweiliger. Ach herrjeeee. Jetzt bin ich ganz gerührt :) Gute Gedanken, gut niedergeschrieben. Und das mit ‘nem Apple ;) Bis demnächst, im echten Leben. Hach Danke Mann! Sprichst mir aus dem Herzen! 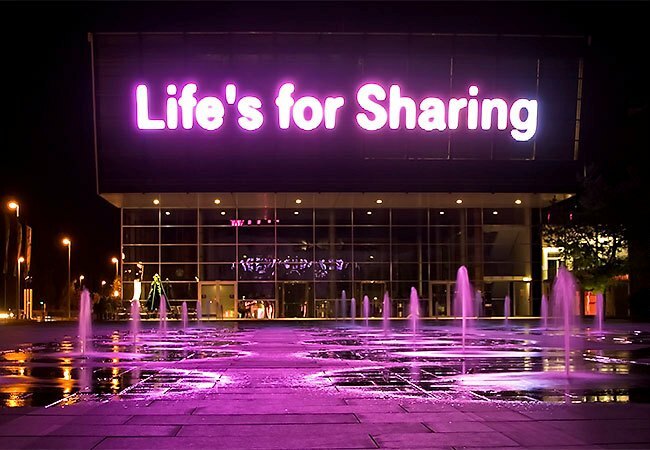 “Life’s for Sharing” – Besser kann man es kaum sagen. In diesem Sinne, Frohes Neues!? Sorry für die späte Antwort, ich habe dich nicht vergessen! P.S. : Das “Us Now”-Video muss ich mir demnächst unbedingt mal ansehen, so oft, wie ich da jetzt schon drüber gestolpert bin. Bringing it back to life | better taste than sorry. Getting Lost | better taste than sorry.